I hope you are not getting tired of seeing cards using the Lollydoodle paper because it seems like I'm addicted to this paper! The colors are so cheerful, they make me think of SPRING! This pattern is one that I "stamplifted" from the CTMH 2013 Spring/Summer Idea Book. It was on page 102 and made using the Claire Paper. This pattern is great for using up some of those beautiful scraps leftover from other projects. If you would like the instructions and cutting measurements, leave a comment at the end of this post and I will send them to you. The flower and leaf were cut using the Artiste Cartridge. 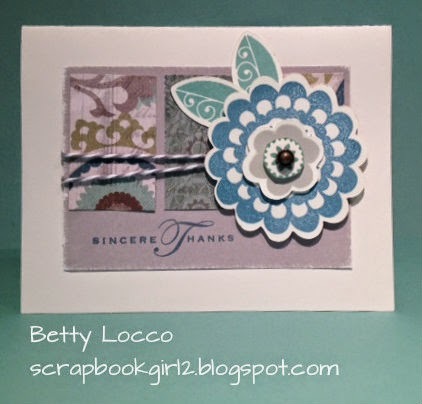 The flower was stamped using C1540 Hello Blooms stamp set. Mounting tape was applied to the flower to give the card some dimension. 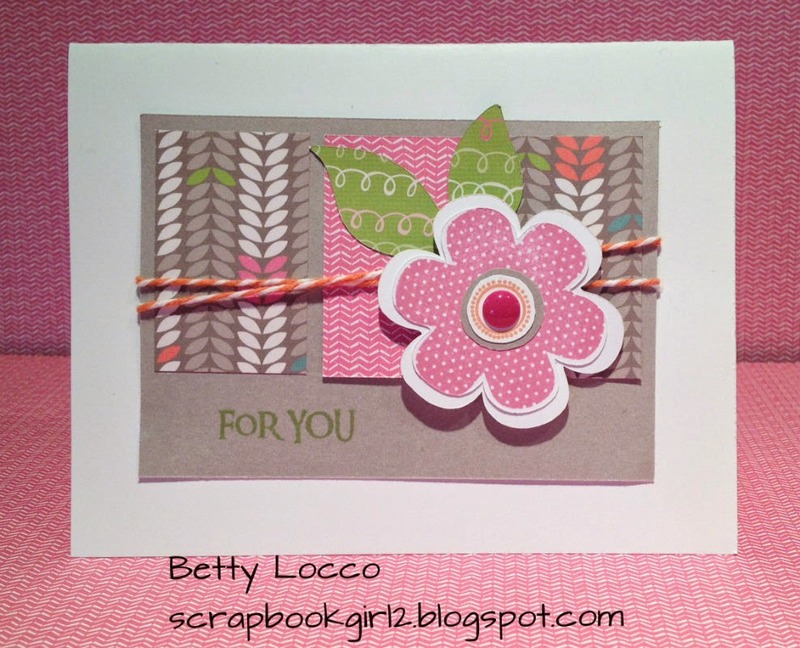 Above is the same card using Chantilly Paper. Below is one using Avonlea Paper.